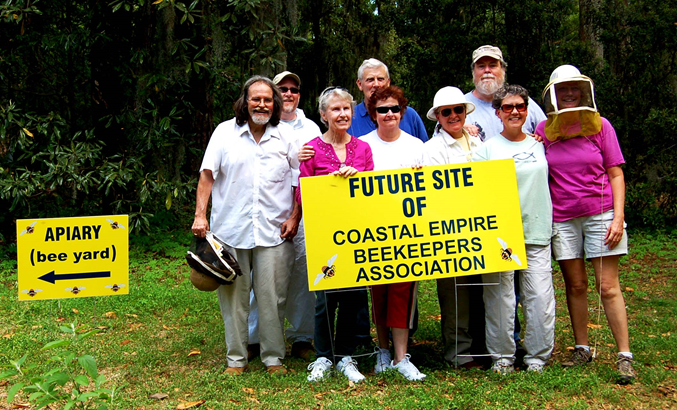 The Coastal Empire Beekeepers Association (CEBA) serves members in Savannah, Georgia, and surrounding areas. 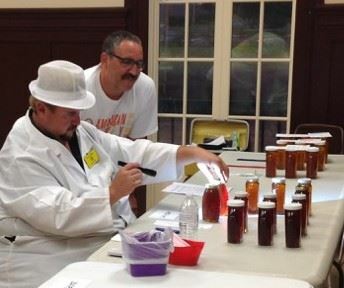 With more than 180 members, CEBA credits its success to providing educational opportunities for members at all levels of beekeeping experience. Members maintain an apiary with approximately 14 hives within the Oatland Island Wildlife Center. During OIWC special events, CEBA often gives visitors an up-close look at honey bees by providing an observation hive. When available, honey harvested from CEBA hives is sold in the OIWC front lobby. We are currently renovating our CEBA Shack to include plumbing, workstations and insulation. 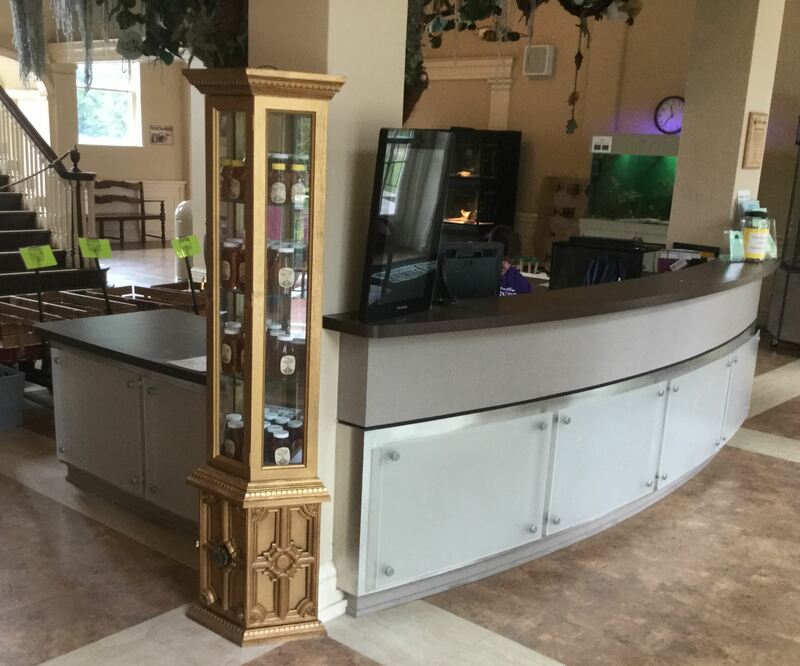 This building stores our beekeeping equipment, including tools, smokers, veils, hive records, frames, boxes, wax melters, chest freezers, uncapping tanks and extractors. 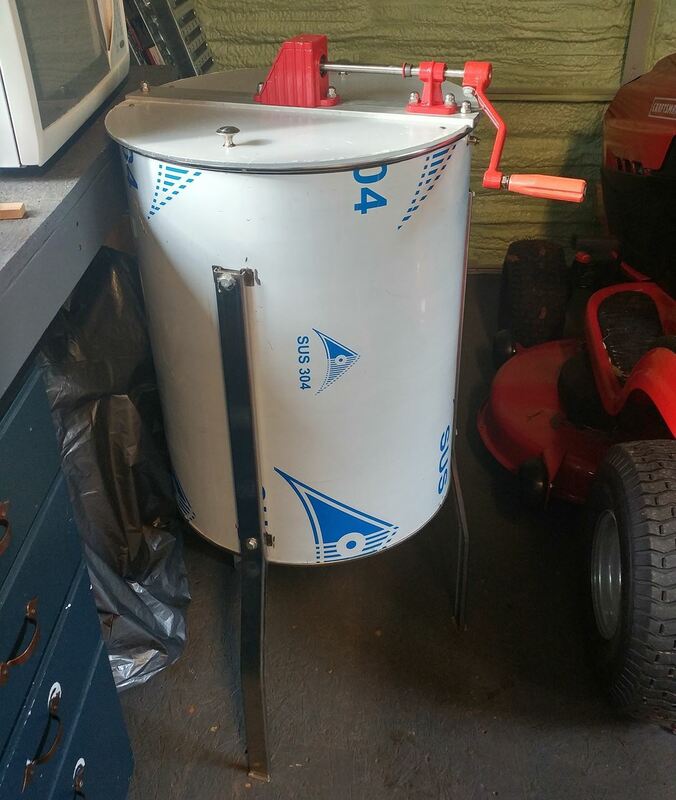 One membership benefit is the ability to check out honey harvesting equipment. The CEBA apiary is located to the left of the welcome booth within the Oatland Island Wildlife Center, 711 Sandtown Road in Savannah, Ga.
OIWC is a unit of the Savannah-Chatham County School System and serves as a Life and Environmental Field Study Site for students throughout the region. 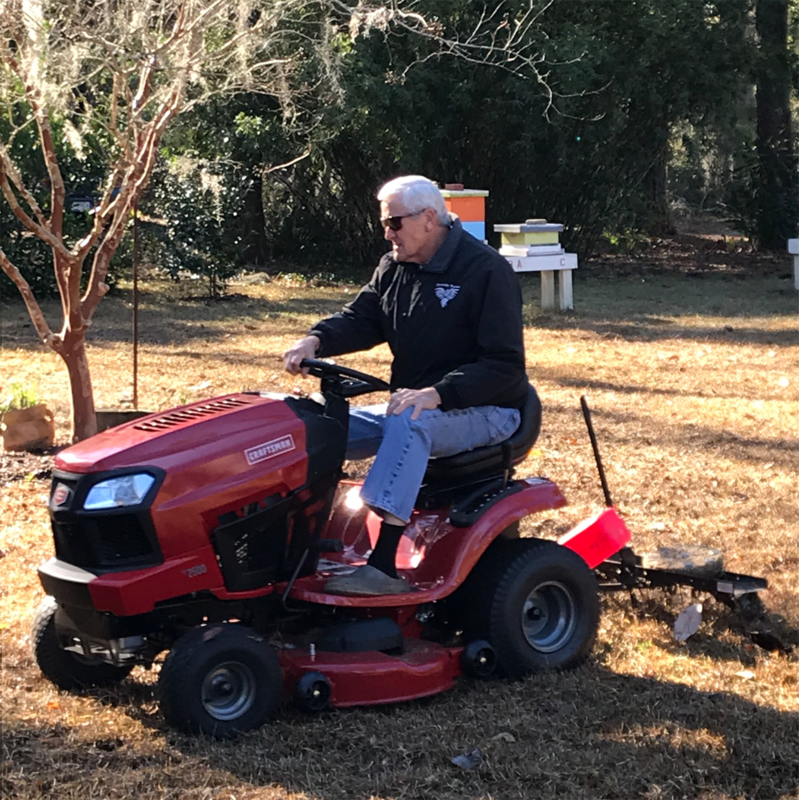 It features a two-mile “Native Animal Nature Trail” that winds through maritime forest, freshwater wetlands and salt marsh habitats and links many native animal exhibits such as wolves, black bear and cougar. For more information about CEBA, send an email. 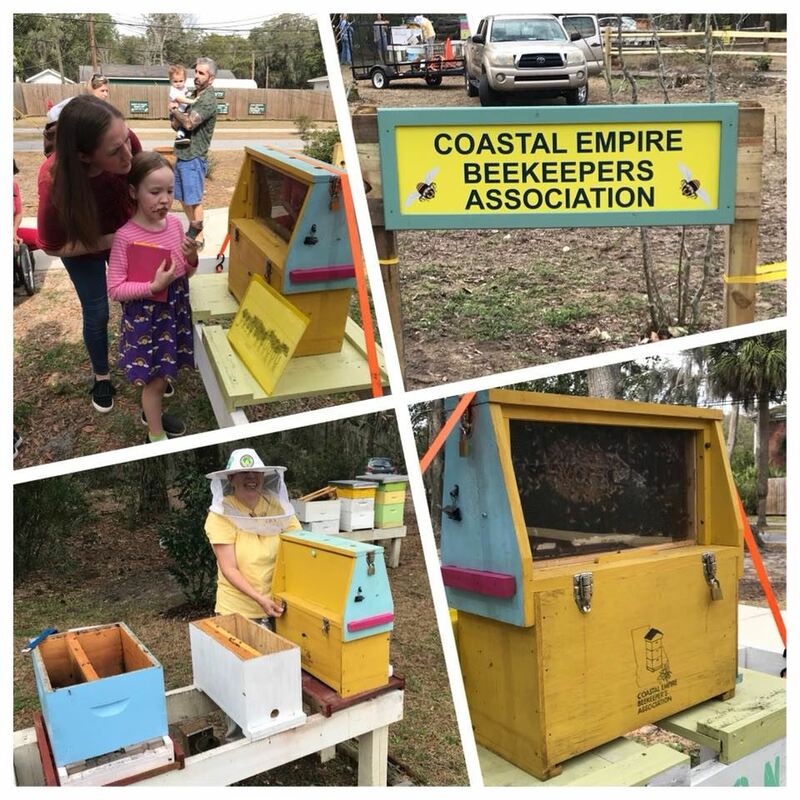 Oct. 13, 2017 - Richard Nettles donated a 4-frame basket radial honey extractor to CEBA and beekeeping reference books to the Kids Oatland Island Educational Programs. 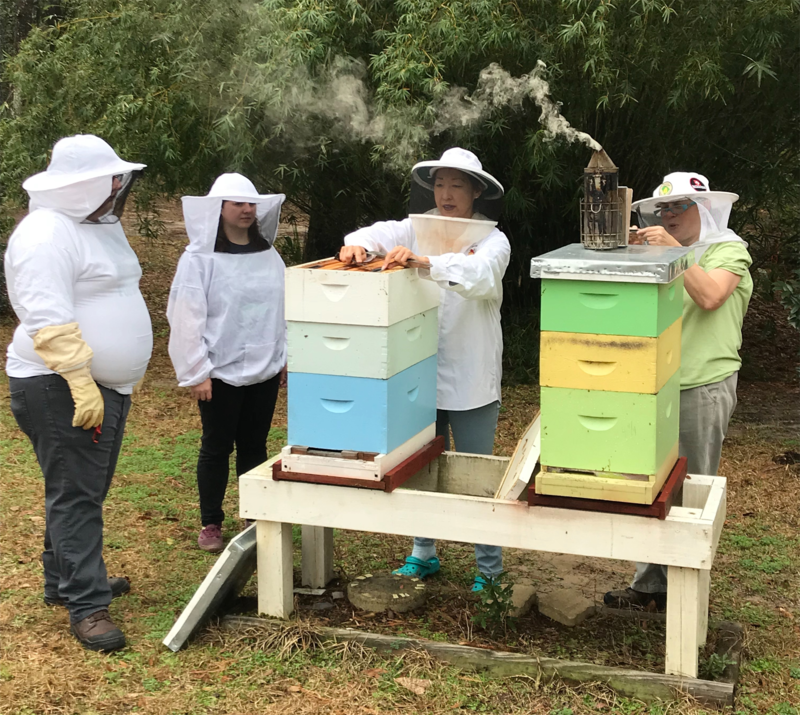 October 2015 - urban beekeeping within the city limits of Savannah, Ga., became legal when City Counsel voted to adopt the same ordinance used by Chatham County Animal Control. April 13, 2014 - CEBA moved to the Oatland Island Wildlife Center in Savannah, Ga.
2010 - Jim Stevens won the CEBA logo competition and, with a few of Laura Liu's artist touches, it became the official CEBA logo. 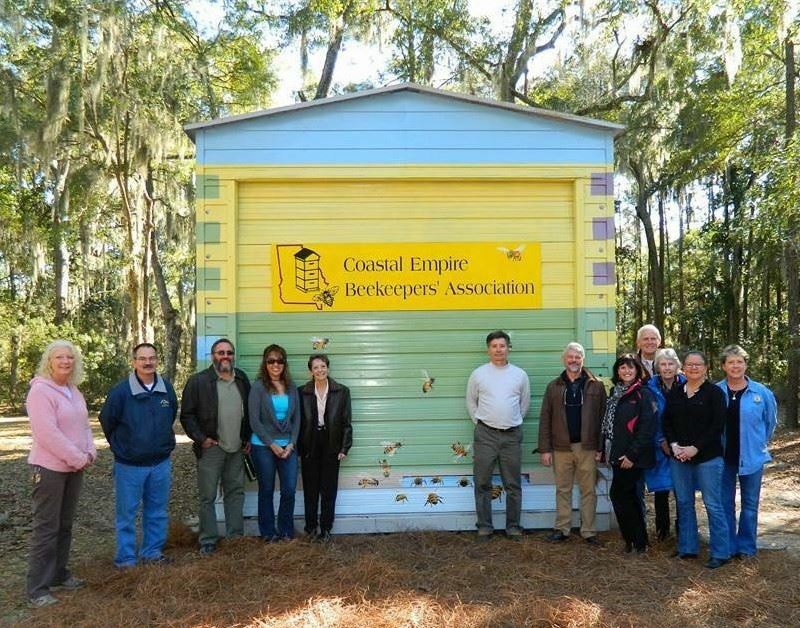 1982 - Coastal Empire Beekeepers Assn. was established. 1975 - The honeybee was designated as the official state insect of Georgia to acknowledge the insect's contribution to the state's economy through honey production and aiding pollination of more than 50 Georgia crops.